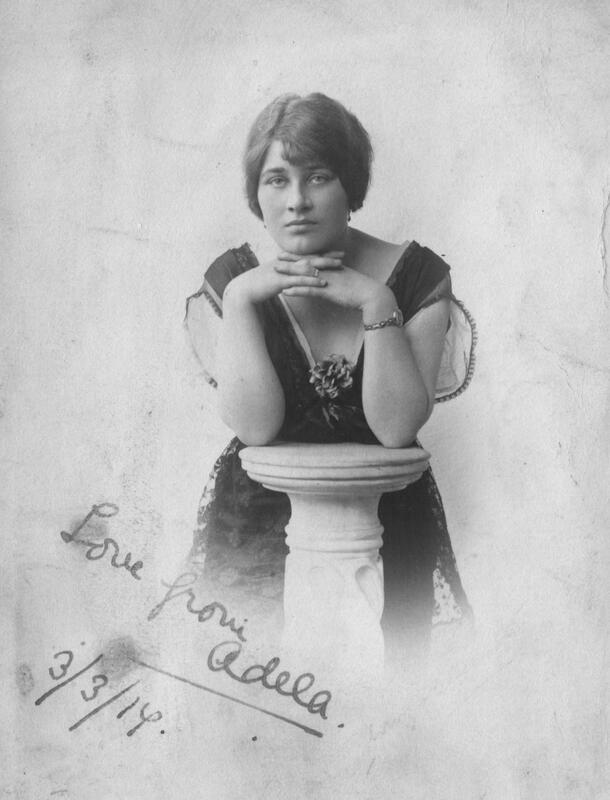 Edgar met Adela when he and Dickie were stationed in Torquay, with the 3rd London Regiment, Nov 1916-Mar 1917. After that she was a frequent visitor to the family home in Hampstead, and wrote many letters to Edgar while he was stationed first near Arras , followed by the Ypres sector and County Clare and finally Commandant of the 49th Division Reception Camp in Douai in the last days of the war. Edgar is now the only one of the five Agius brothers serving on the Western Front. For the past two weeks he has been home on leave. His fiancé, Adela [Hatton Hall], recently left the family home in Devon in the care of her younger sister Winifrede , and has come up to London to work at India House. Her brother Hubert is also about to return to the Front. Edgar’s leave is now over, and Adela is preparing to take up the offer of a flat share with friends. I wonder where you are now and what you are doing? I saw Hubert off but no sign of Winifrede. I can’t understand where she is at all. Hubert was greatly attracted to Daisy. He thought she was an awfully good sort. I wonder if you got over your pain all right? I didn’t; I had to have some brandy. Of course I only did it because I thought I might be offered some !!! I can’t tell you what its like without you here darling. I hate to come downstairs. I’ve been washing all the afternoon to take my thoughts away. Parting is terrible isn’t it? But it won’t be for long this time will it? I’ve got a lot of ironing to do. I expect Nannie will curse me. I’ll chase her round with a hot poker if she does… I’m very tired tonight. I can’t believe you’re gone. This last fortnight has quite simply flown, hasn’t it? PS – Hubert is a Bge [Brigade] Major !! Who knew Edgar was such a romantic?